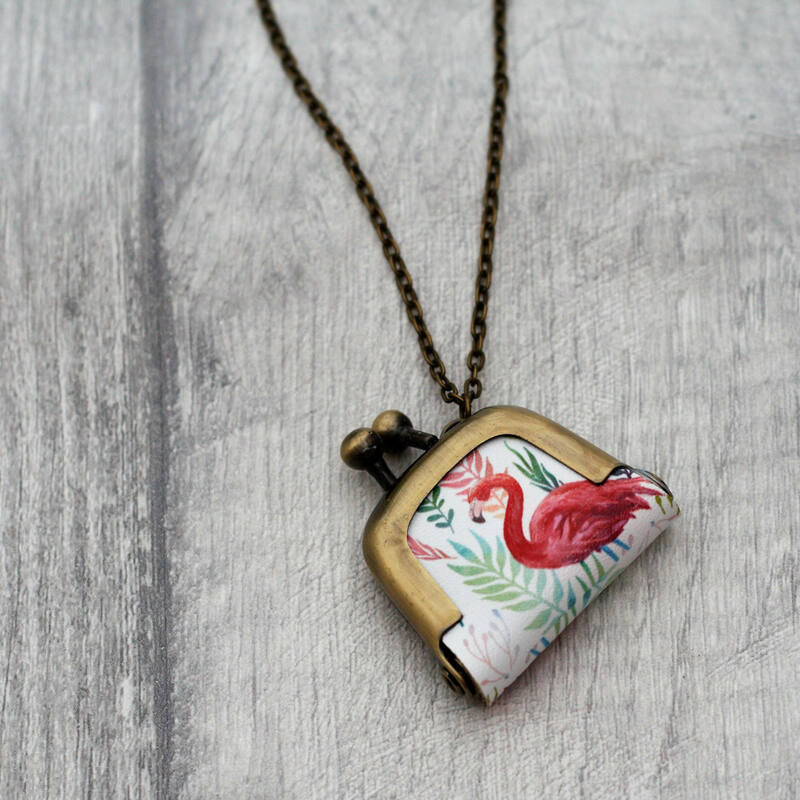 This little purse is approx 2" big and features a flamingo printed onto leather. • The purse is approximately 2" (5-6cm) wide. Its just the right size for a £1, and very unique! !